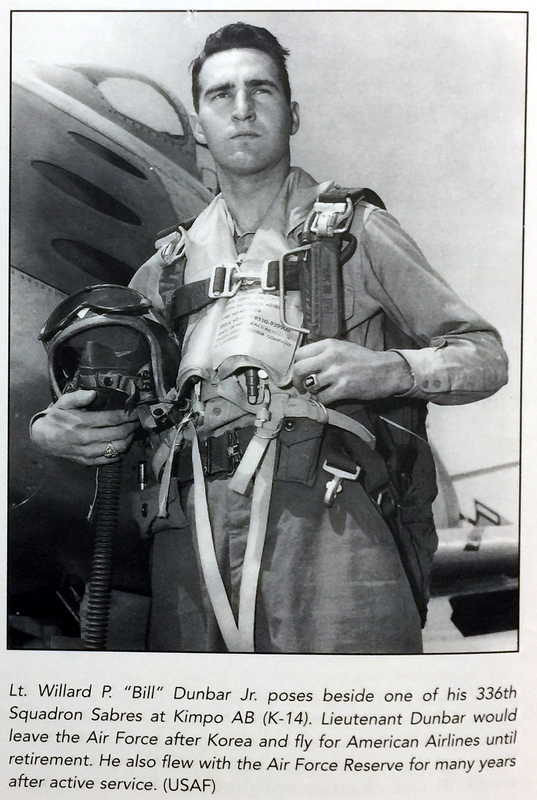 Lt. Willard Parker Dunbar, Jr.
To view a full story by Lt. Willard P. Dunbar, Jr. in Mig Alley, click here. "My A/c was 491128 F-86A-5 which rotated home the day I finished my missions,12 Oct.’52. I arrived in the 336th 0n 4 May’52 and flew my 100 missions in five months finishing on 12 Oct. Got 1 damage claim and fired on one late in Sept. and got fired on at the same time by the Leader of five behind me. He missed. I was flying Robbie Reisner’s a/c 824 at the time. It was later lost when Bettinger was shot down." Sincerely,Ltc.Col. 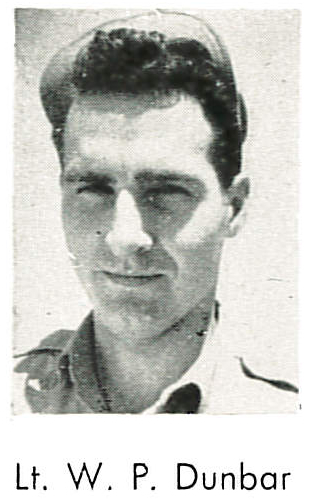 Willard P. Dunbar Jr. (From an email given to me by Willard on February 28, 2018). Note on above article: Advanced training base location was not Craig AFB, Arizona, but was Craig AFB in Alabama East of Selma, Alabama. Original author cited incorrect. Information updated to me by Lt. Willard Dunbar (2/27/2019).